I'm all about thrift store scored belts; particularly the waist cinching, stretch belts with old timey retro buckles. Here are some mind-numbingly simple "rafashions" of belts. Belts that will match some refashioned outfits, I'm sure. 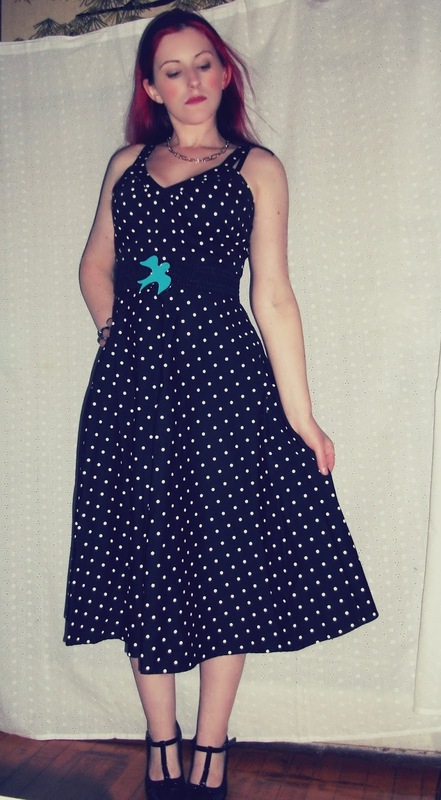 That's a dress right off the rack at Goodwill, no refashioning necessary! 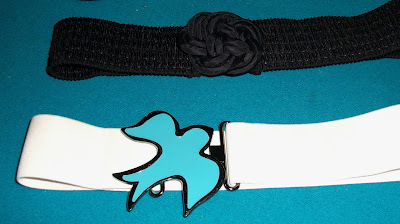 I just put the bird buckle on the black elastic. I've got two more belts to show you. There over here. On my blog, Craft, Thrift, or Die. Sometimes simple is best and can make a world of difference. Nice job.